Have you ever seen a play where several people get underneath a costume to portray an animal? For example, in a play about Old McDonald’s farm, 1 person might be the front of the cow costume; a 2nd person might be the middle of the cow costume and a 3rd person might be the back or the tail of the cow costume. When parts are being assigned, the tail of the cow is most likely the part no one wants. It is in the back – you will not be able to see and you will most certainly not be in charge and you are most certainly not “the star”. Yet, for the cow to move in the play and for it to look “real”, all the 3 people in the costume need to act as a team and they need to work together. All 3 parts are important. What was Jesus telling them? Jesus was saying that the greatest person is the one that is not worried about making sure he is first. Instead, this person is willing to be last to let others needs be met first. This person is willing to serve others. It is not all about them. Many people call this having a servant’s heart. This person lives out the commandment to love others. This person realizes that eternity is what it is all about and that is where the rewards will be given out that really matter. Learning to serve others is an important life lesson. Yes – it could really benefit any high school team that you are on. From a 41 year old woman’s perspective, it is also a characteristic that is so critical to being a Mother, to having a solid relationship with your husband, to developing life-long friendships, to being successful in the work force and to being able to share Jesus with others. A servant’s heart so often reflects Jesus to others without a word being said. Now – are you willing to be the cow’s tail? When I think of the qualities Mom had, one that always comes to mind is her servant’s heart. Mom always willingly served with joy, wherever God called her to serve. What an example she is for me! I desire to have the servant’s heart she had and to joyfully serve Jesus wherever He calls me- even if that includes being the cow’s tail! I pray that you will be challenged by Mom’s devotion as I was and will willingly and joyfully serve wherever Jesus calls you. 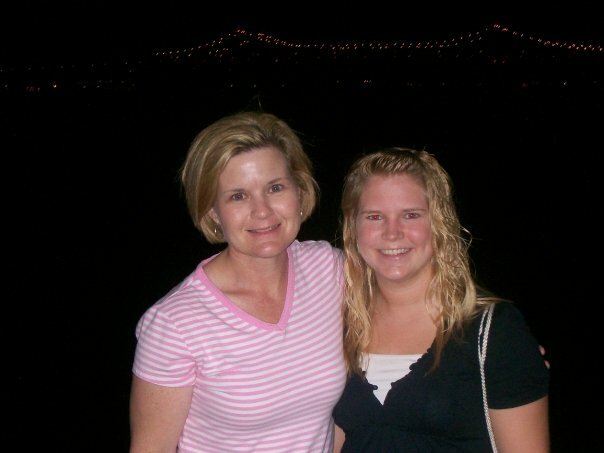 Serving with Mom in New Orleans- Summer 2009.